Highland Hospital ER is seizing the moment with opioid addiction treatment. 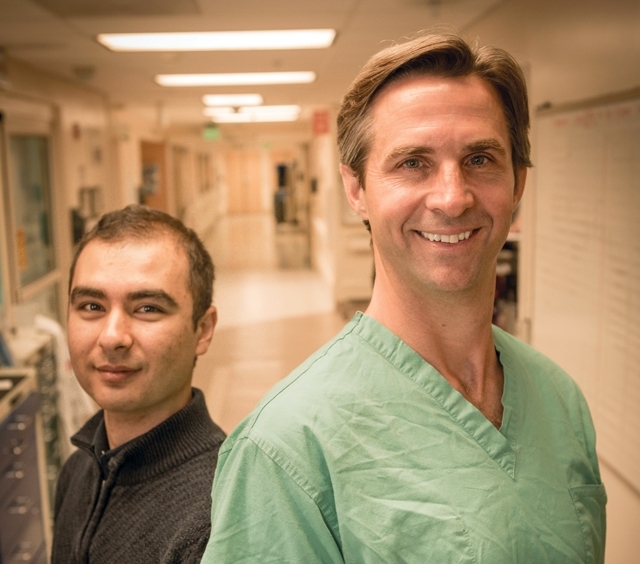 Read more here in Oakland Magazine about the work of Andrew Herring, MD, with patients who seek treatment for opioid addiction. Shout out to Christian Hailozian, a key member of Dr. Herring's staff! Dr. Alter recounts the recent SEM conference at ACEP in an in-depth article reviewing the papers presented and discussion that ensued. Read more here! Highland Hospital’s Dr. Harrison Alter focuses on social emergency medicine, which addresses social and economic factors that cause disease. A small purple-and-white sign hangs on the waiting room wall in Highland Hospital’s emergency department in Oakland. It’s a policy that emergency room physician Doug White and his colleagues instituted four years ago. Since up to half of people with hepatitis C do not know they are infected, testing is the first step toward eradicating the deadly, blood-borne virus, he said. This article originally appeared on STAT [https://www.statnews.com/2017/09/27/emergency-medicine-social-factors/] on 9/27/2017. Not long ago, I attended a lecture given by a highly regarded emergency physician. His talk, “The Future of Emergency Medicine,” focused on how advances in telemedicine will transform emergency care. The following week, as I walked down a corridor at the back of my hospital, I passed seven telemedicine robots, each with a hastily scrawled “Out of Order” note taped to its screen. That captured my uneasy feelings about how interacting with a patient via internet video link would work in the poor neighborhoods served by my emergency department. I work with a loose-knit group of emergency physicians who embrace a different future for emergency care. Called social emergency medicine, it fully integrates patients’ social contexts into their emergency care. This approach doesn’t just make note of the fact that a patient with asthma may witness a shooting on her street corner, but incorporates how her exposure to community violence may profoundly affect how she recovers — and also helps her think through strategies to cope. Access to enough nutritious food, stable housing, neighborhoods free of violence and human exploitation, and other elements like these that are so central to our patients’ lives have long been thought of as peripheral to the patient’s chief complaint, maybe warranting a tossed-off referral to a social worker. They are often deemed far less important than what the latest expensive machine has to say about it. It turns out, though, that these social determinants of health, as they are sometimes known, are absolutely essential. Take Alice, for example. A middle-aged mother of four, she was brought to our emergency department by ambulance on an involuntary psychiatric hold for suicidal thoughts. The paramedics told us they had been called by the local housing authority, where she’d had a meltdown in the waiting room, screaming that she was going to kill herself. By the time a resident physician went to see her, she had been searched for a weapon, placed in a gown, and pinned to the gurney with leather restraints to prevent her from harming herself — standard procedure for patients on the psychiatric hold known as a 5150 by its position in the California Health and Welfare Code. It turns out that during her visit to the housing authority, Alice had been told that, due to a series of bureaucratic missteps, she was about to lose her Section 8 housing voucher, which meant she would soon be homeless. Panicked and desperate, she couldn’t think of any plan other than to threaten suicide right there in the housing authority waiting room. To assist patients like Alice, my colleagues and I launched Highland Health Advocates, a sort of help desk for health-related social needs that sits right outside our emergency department. Staffed by trained volunteers, most of them undergraduates from nearby universities and overseen by social workers and lawyers, it supports patients from our emergency department and elsewhere in the hospital as they navigate problems with transportation, food, public benefits, and housing. After Alice saw a psychiatrist, who canceled the 5150, we urged her to go to the help desk. There, with representation from one of our legal partners, she was able to get her voucher reinstated, ending her nightmare. The concept of physicians writing prescriptions for healthy food, pioneered by Dr. H. Jack Geiger in Mound Bayou, Miss., in the 1960s, was once thought of as the purview of social justice warriors. Today, emergency departments like ours and clinics all over the country are partnering with community-supported agriculture cooperatives and farmers markets to do just that. It’s a way to use the health care system to overcome the food desert phenomenon common to patients in the urban areas as well as in rural Mississippi. Our health care system doesn’t serve everyone well. Technology may be part of the fix, but it alone doesn’t hold the answers. We must find ways of using technology to improve the care of our patients, but we can’t let it lead us. Understanding the social forces that influence our patients’ health and disease, and pushing back on these forces with the same kind of thoughtfulness and care that we apply to selecting the right medication or performing the right procedure, must also be part of the future of emergency medicine. 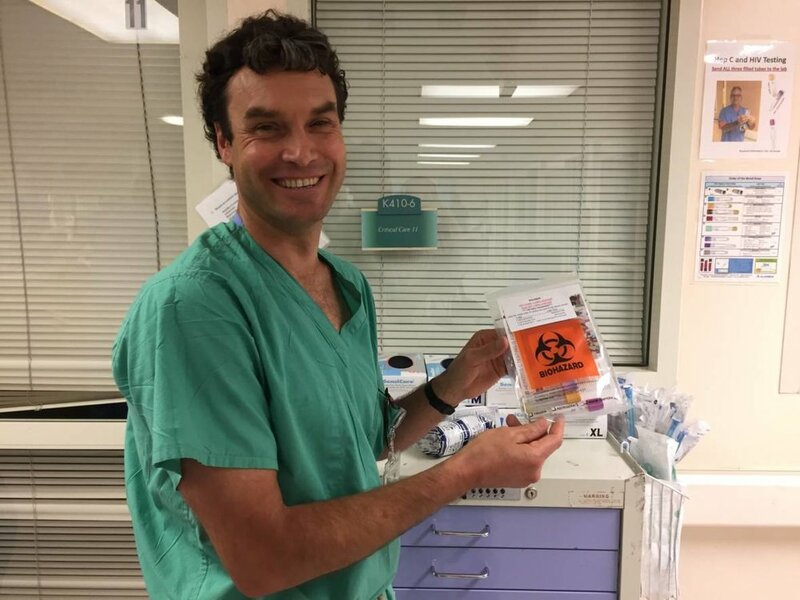 Harrison Alter, M.D., is an emergency physician in Oakland, Calif., and executive director of the Andrew Levitt Center for Social Emergency Medicine. The Levitt Center for Social Emergency Medicine, in collaboration with the Emergency Medicine Foundation and the American College of Emergency Physicians (ACEP), received funding from the Robert Wood Johnson Foundation to conduct a consensus conference to establish the intellectual underpinnings and future direction of Social Emergency Medicine. 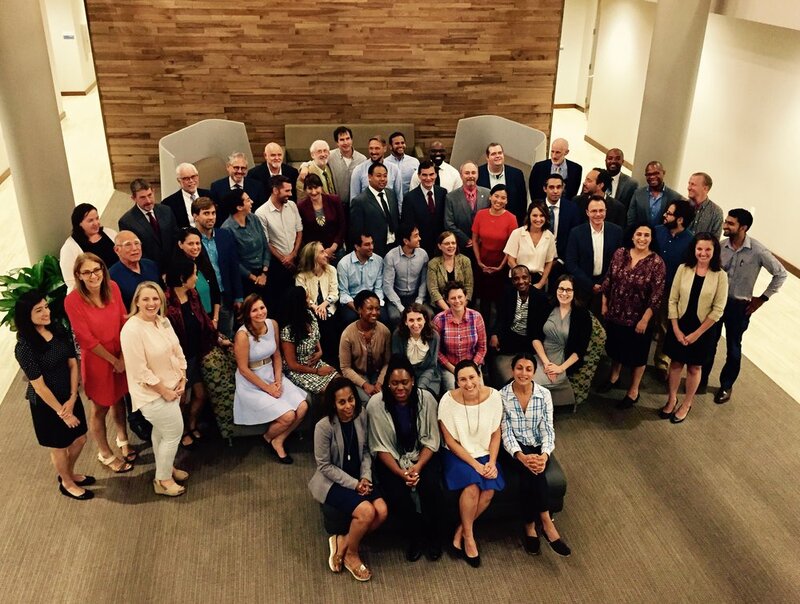 The conference was held at ACEP headquarters in Dallas, TX, on September 14 & 15. The structure of the conference included three half-days of invited paper presentations, invited commentaries and open discussion. Each half-day featured two such cycles, for a total of six structured sessions. Proceedings of the conference will be aggregated into either a book or a journal supplement, as well as into a web-based resource for those interested in understanding this rapidly emerging field within clinical and academic emergency medicine. Project Directors include: Sandra Schneider, MD, Harrison Jacob Alter, MD, MS, FACEP, Cynthia Ann Singh, MS. Thanks to the generosity of the family of Jamie and Michael Lynton, the Levitt Center sponsored three EM-bound students and three current EM residents to attend the conference as Lynton Scholars. Lynton Scholars received airfare and accommodations and had the opportunity to attend the conference. They will also be actively involved in the publications and supplements arising from the conference. We received an unanticipated - and extraordinary - number of applications for the six scholarships. The commitment among all the applicants to SEM was remarkable. Read about the six Lynton Scholars here! Dr. Harrison Alter at the 2017 SAEM Western Regional Meeting. 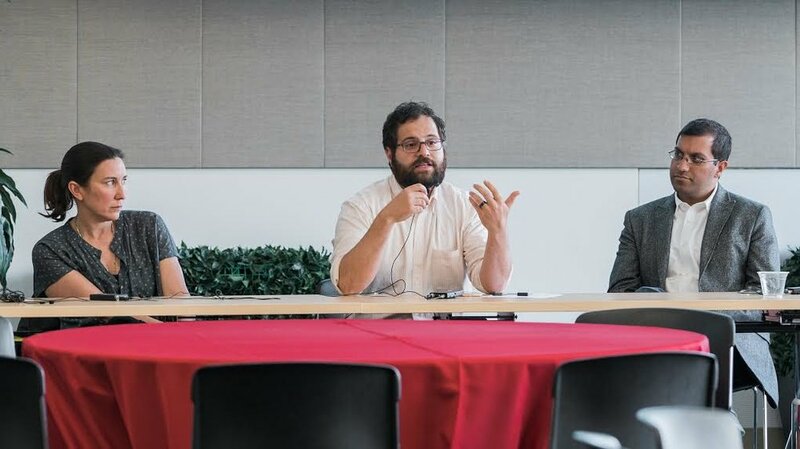 The meeting was held at Stanford University, jointly hosted by Stanford, UCSF and Highland Hospital. The conference featured -- among a cavalcade of great talks and cutting edge science -- a panel on Social EM. The panel was moderated by Dr. Harrison Alter, Executive Director of the Levitt Center, and highlighted Dr. Suzanne Lippert of Stanford EM and Kaiser Oakland, Dr. Hemal Kanzaria and Dr. Siavash Sarlati, both of UCSF. The structure of the panel focused on the ecologic model, exploring examples of bedside, systems and population applications of Social EM. Not pictured is Dr. Jocelyn Freeman-Garrick, a Levitt Center board member, who presented on a panel addressing diversity in emergency medicine. Dr. Suzanne Lippert, Dr. Siavash Sarlati and Dr. Hemal Kanzaria at the 2017 SAEM Western Regional Meeting. The American College Of Emergency Physicians (ACEP) Approved The Social Emergency Medicine Section! We hope to assume full privileges and responsibilities for the Fall 2017 ACEP meeting. There are many people to thank, particularly Suman Gupta, Lucinda Lai, Erik Anderson and the writing group, and everyone who forwarded emails and made announcements at conferences, and generally spread the word. We had 180 people on the list before the Board considered us! Look for more announcements as we divvy up responsibilities to fulfill our duties as a section and amplify our energy, creativity, and commitment to our patients and our communities. Questions? Contact us directly through this website. The Robert Wood Johnson Foundation has awarded the Emergency Medicine Foundation a grant to host a Consensus Conference in September, 2017, to confirm the intellectual underpinnings and future direction of Social Emergency Medicine. Project Directors include: Sandra Schneider, MD, Harrison Jacob Alter, MD, MS, FACEP, Cynthia Ann Singh, MS. Look for updates here soon! A summary of papers and events is forthcoming. In January 2017, CHCF awarded to Andrew Herring, MD, and the Levitt Center a grant to increase access to medically assisted treatment of opioid addiction through initiating treatment in the emergency department. The project will pilot a treatment model, proven successful in a controlled academic environment, in an urban region, and share the results in CHCF and peer-reviewed publications. Can Social Emergency Medicine Give A Different Perspective On Community Health?